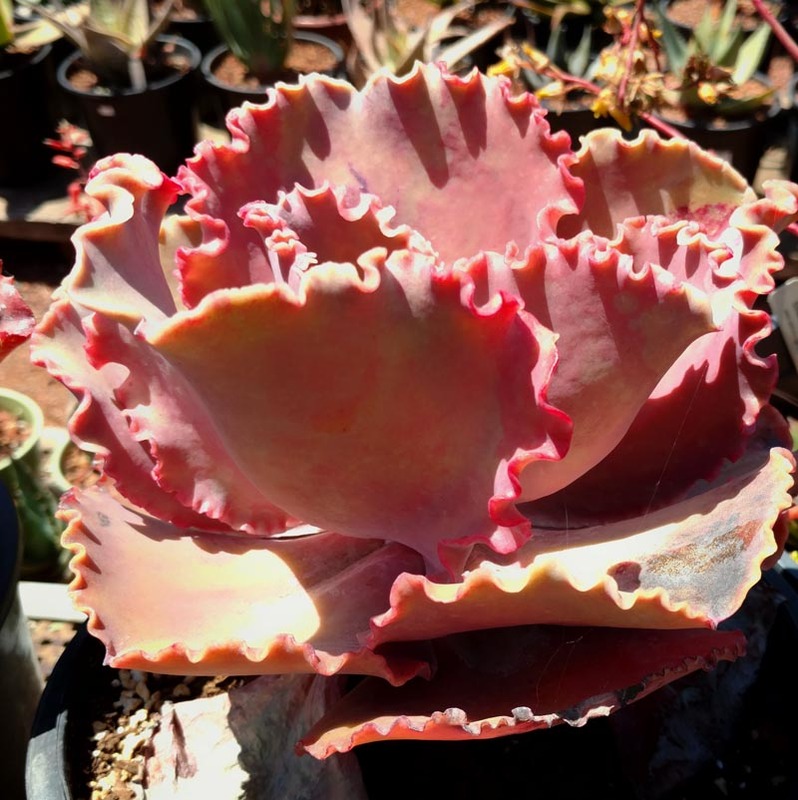 Large colorful hybrid. Purplish in moderate sun, bright pink in full sun. Ruffled leaf-edges.